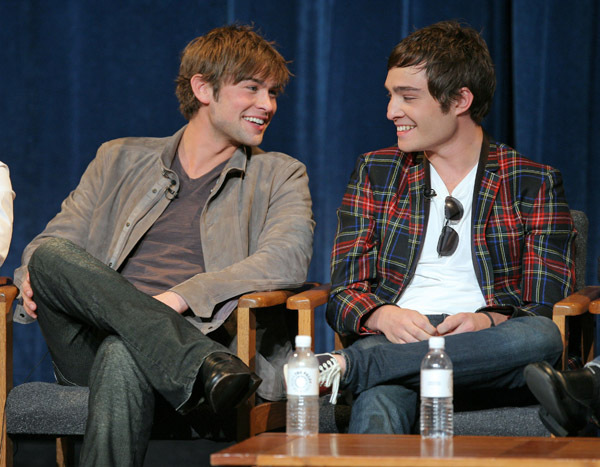 While sitting in wooden chairs at Paleyfest 2008, a smiling duo of Chase Crawford and Ed Westwick look at each other. 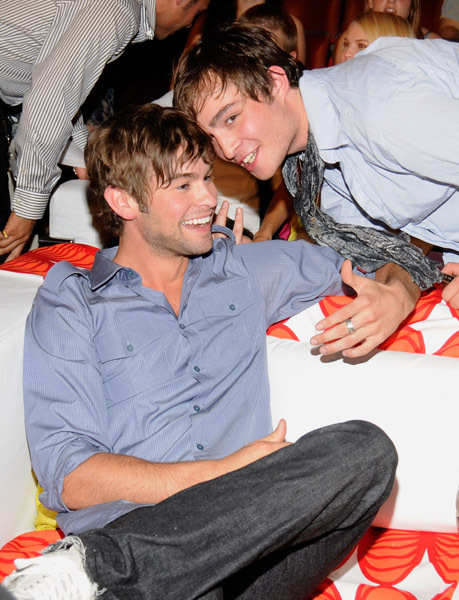 Ed Westwick is with Chase Crawford for MediaÃ¢â‚¬â„¢s 25th Annual William S. Paley Television Festival at the Paley Center. 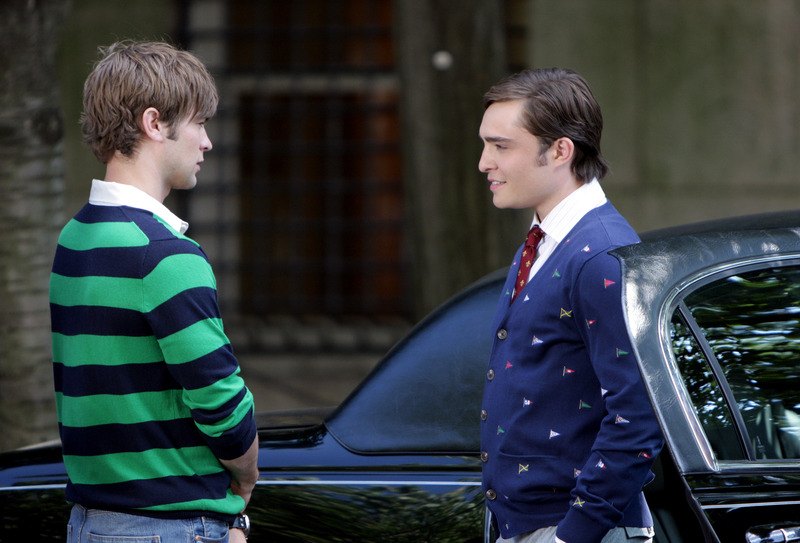 Chase Crawford in green and blue stripes talks to Ed Westwick in a scene from Gossip Girls. 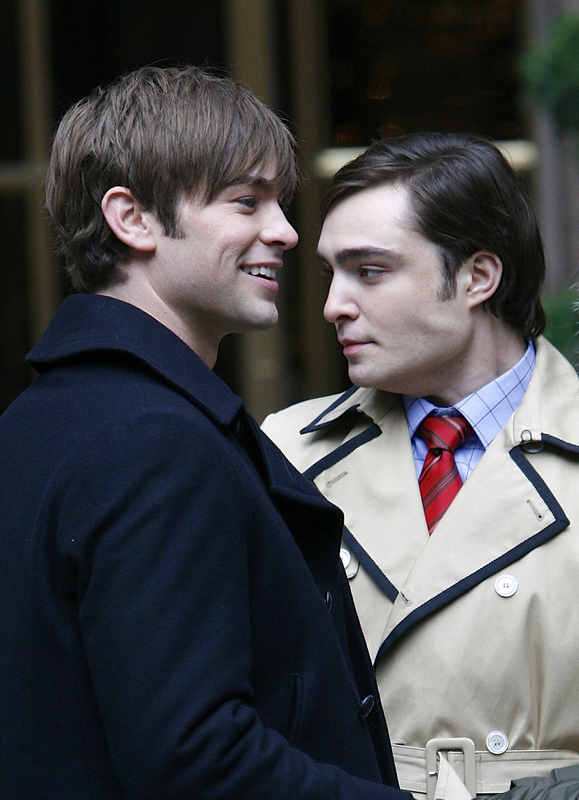 Gossip Girl stars Ed Westwick and Chase Crawford are smiling as they relax. 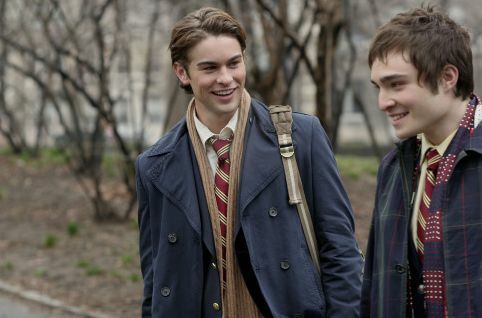 Chase Crawford and Ed Westwick are seen in a scene from Gossip Girls in their private school clothes. 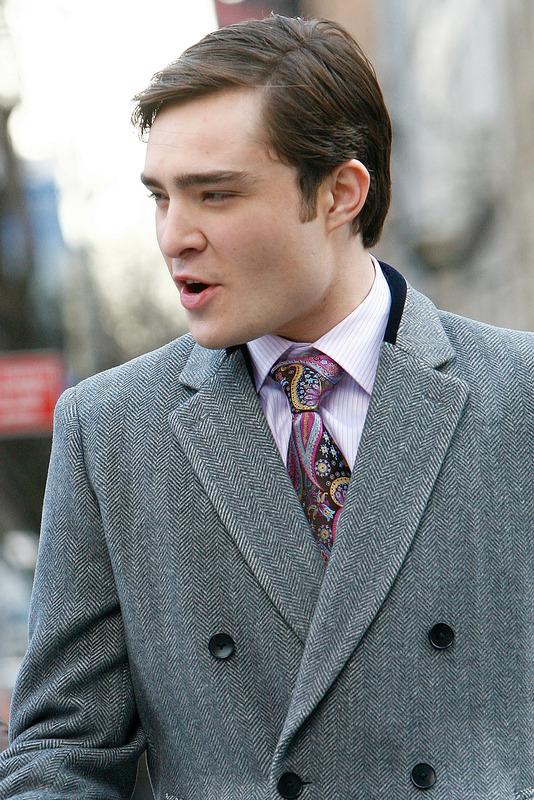 Ed Westwick, a Gossip Girls star, is seen here walking down the street. Ed Westwick is getting out of a car wearing a pink scarf while attending a Kings of Leon concert. 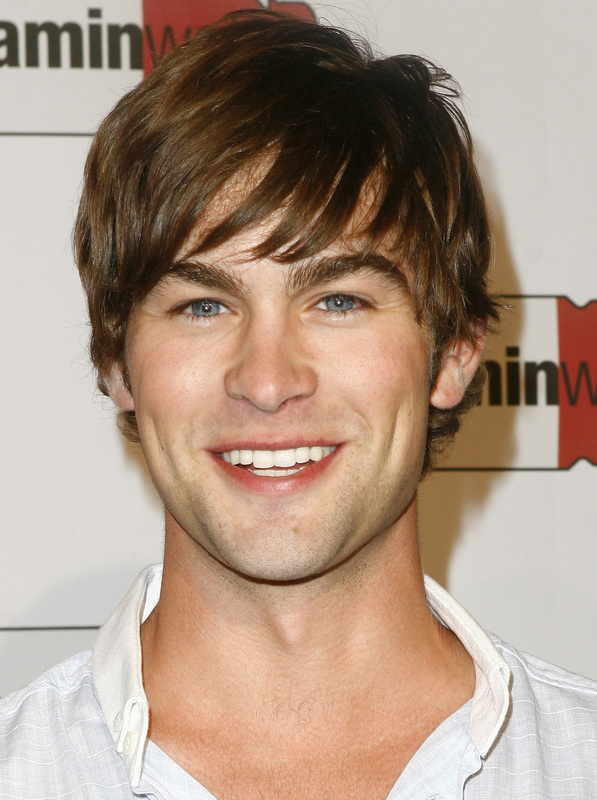 Chase Crawford dressed nicely at the MTV Video Music Awards. 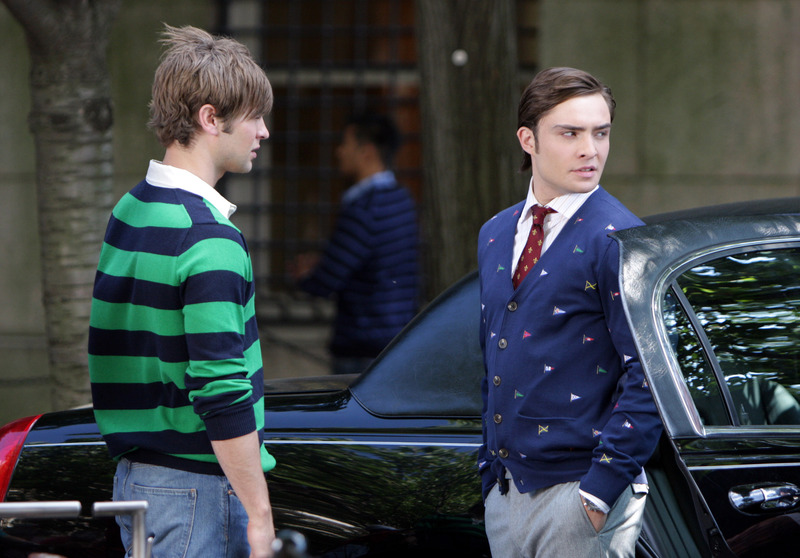 Ed Westwick is wearing a spotted sweater and is peering over his shoulder as Chase Crawford stands next to him in a scene from Gossip Girls. Casually dressed and holding his cell phone, Chase Crawford signs autographs at a Gossip Girls event. Wearing a white shirt, Chase Crawford shows off his pearly white teeth at a Vitamin Water event in New York. 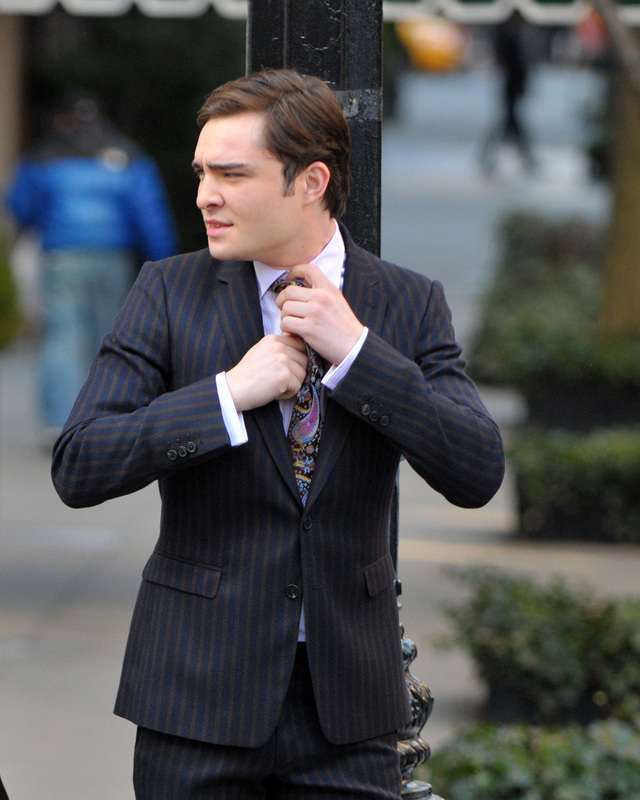 Ed Westwick is wearing a pinstriped suit and is seen here adjusting his multi-colored tie in a Gossip Girls scene. 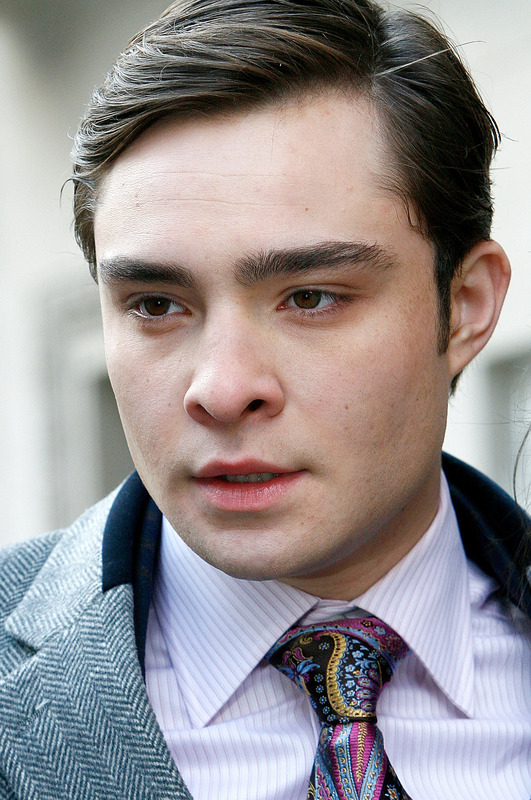 In this close-up of Ed Westwick, the Gossip Girls actor is wearing a bright tie and a pink shirt. Chase Crawford of Gossip Girls wears a tight shirt and his muscles are in plain view. 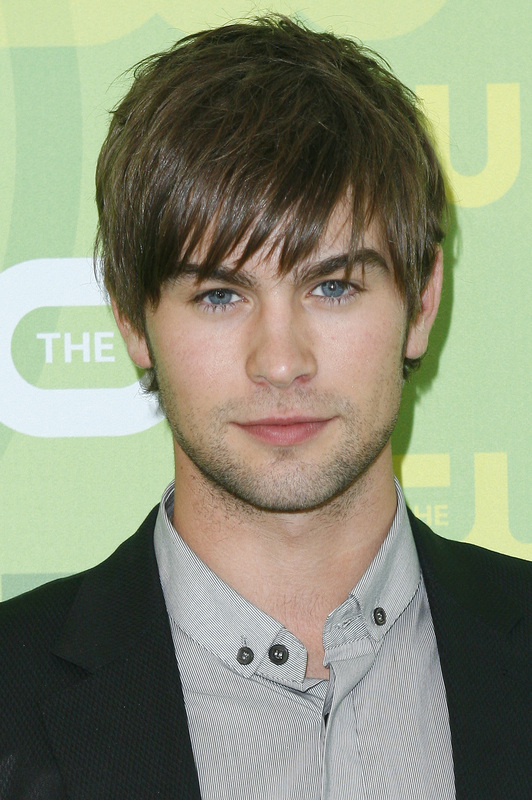 Chase Crawford and his dreamy blue eyes look at the camera at a Gossip Girls event. 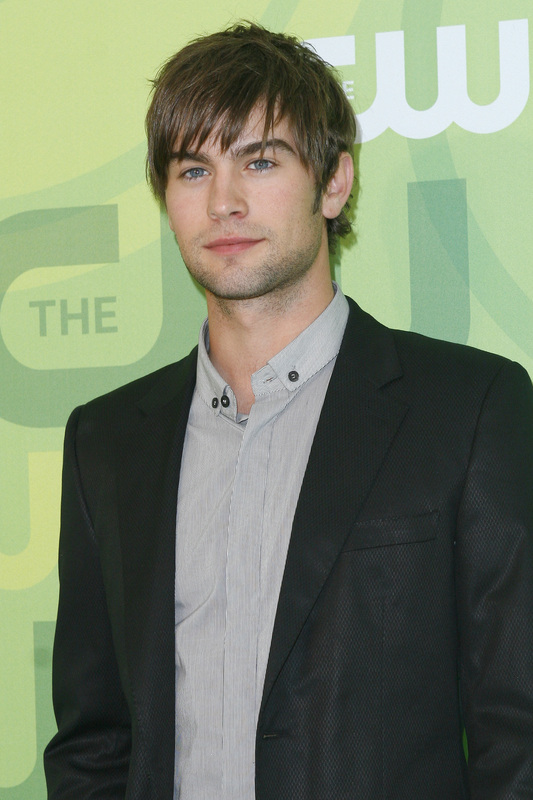 Chase Crawford is neatly dressed and is also sporting a light beard while at an event for the CW television network. 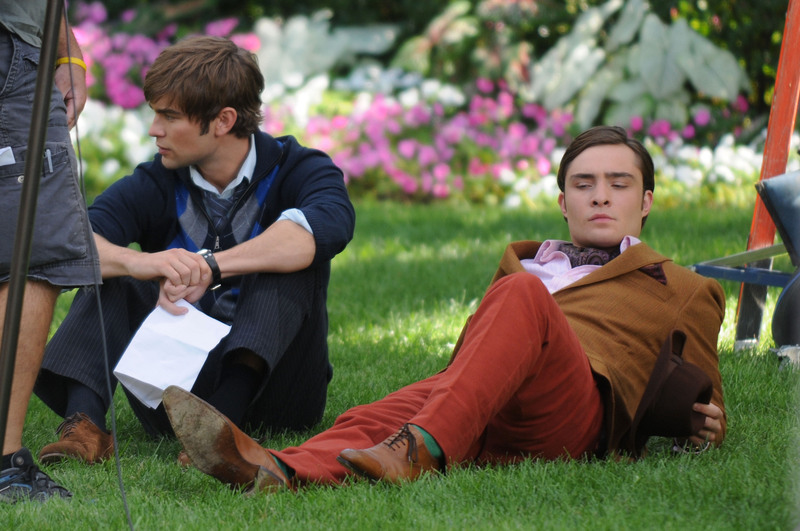 Ed Westwick is wearing a heavy jacked in this Gossip Girls scene. Underneath, he has a pink shirt and a colorful tie. 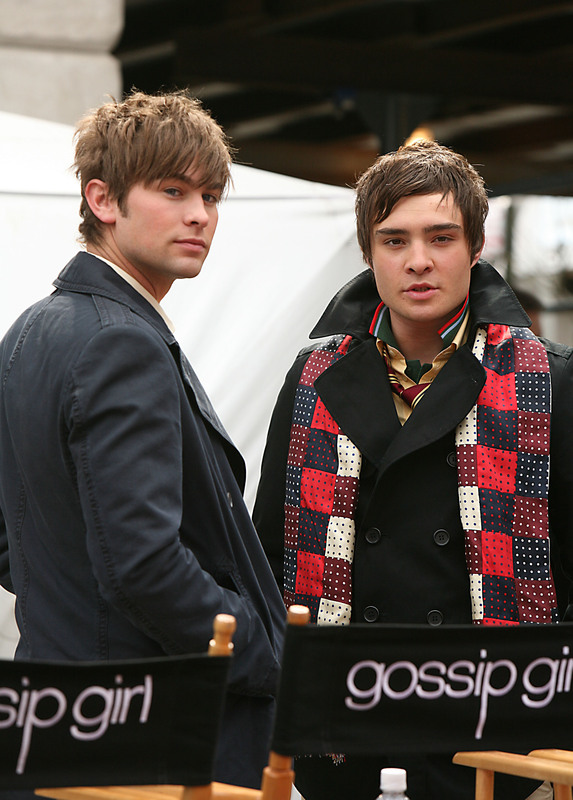 In Gossip Girls, Ed Westwick has a cream colored jacket and a red tie as he stands next to Chase Crawford and his dark suit. 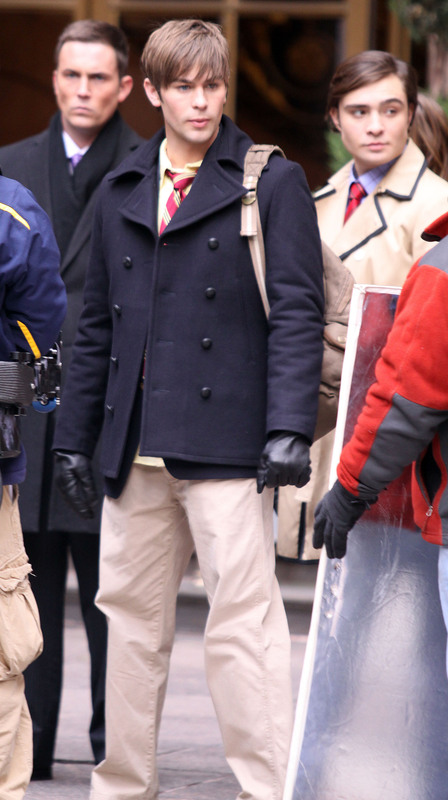 Chase Crawford carries a beige bag that almost matches Ed Westwick’s jacket as they stand on the Gossip Girls set. 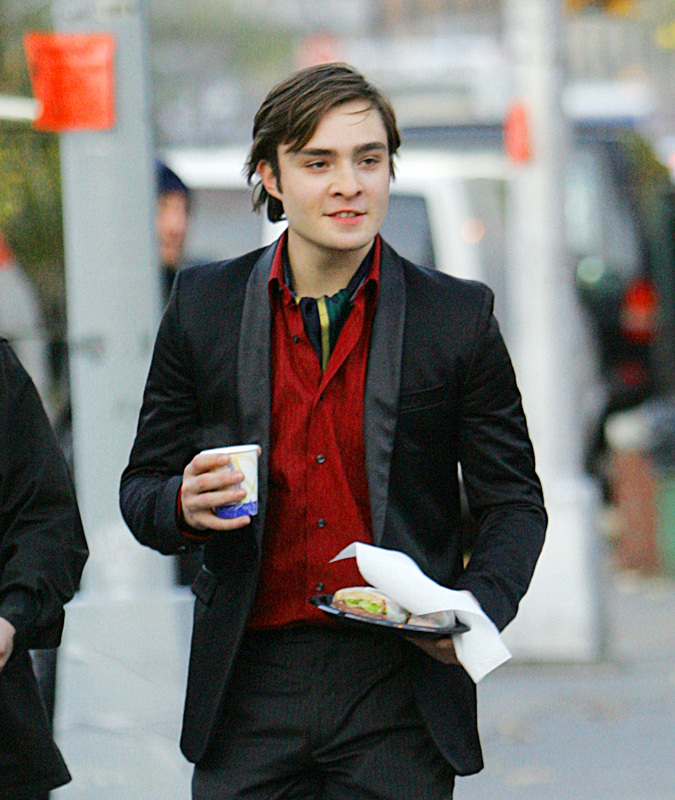 Ed Westwick is wearing a dark jacket and a red shirt while carrying food and a drink during a Gossip Girls break. 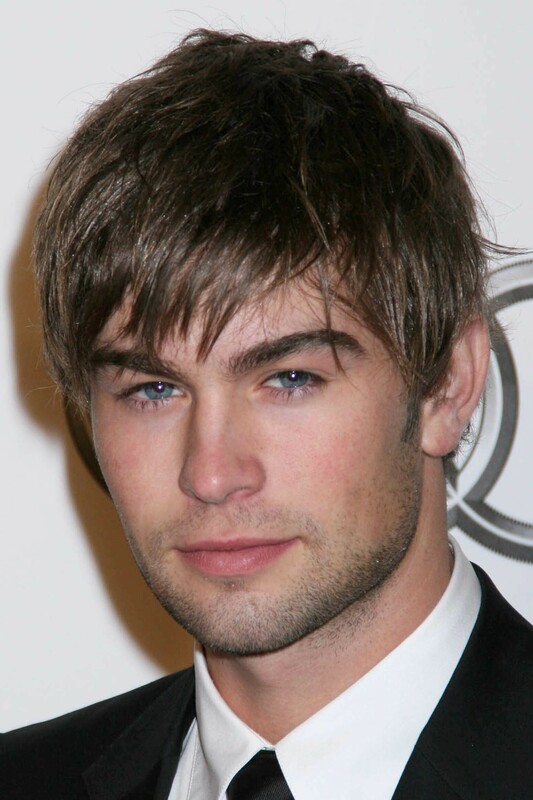 As usual, Chase Crawford of Gossip Girls is seen with his shaggy hair. Ed Westwick is wearing red pants, green socks, brown shoes and even more colors on top. He and Chase Crawford are in a scene from Gossip Girls. 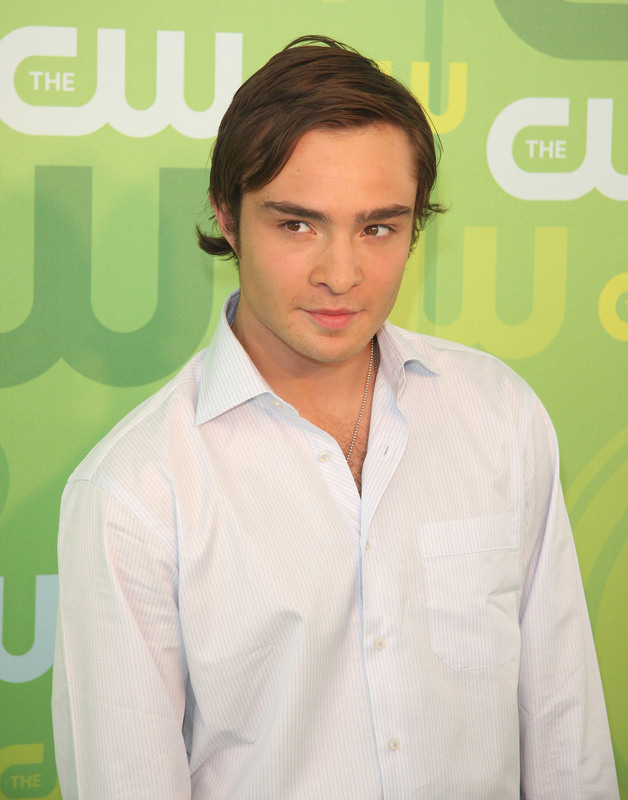 Ed Westwick doesn’t have a hair out of place as he attends this event for the CW television network. 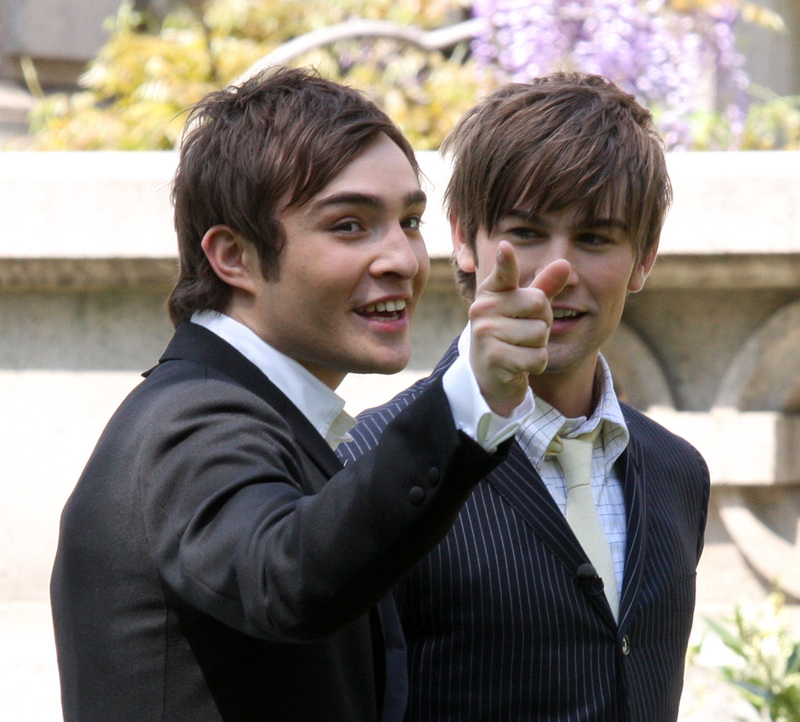 Both wearing dark suits in a scene from Gossip Girls, Chase Crawford looks over at a pointing Ed Westwick.